Our beloved TV show Buffy the Vampire Slayer lasted for seven seasons and then sadly went off the air in 2003 – but it didn’t end there. 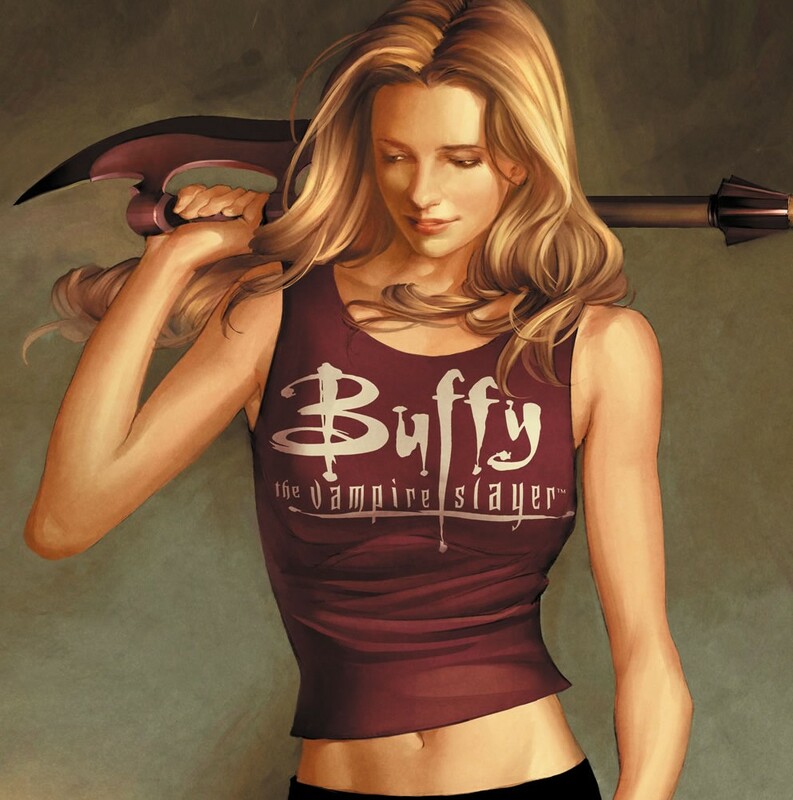 Buffy creator Joss Whedon continued the story in the Season 8 comic book series, which just finished its 40-issue run. Luckily, Season 9 is on the way and EW chatted with Joss on the project! Woo! Warning: There are BIG spoilers ahead, so if you haven’t read Season 8, then you don’t want to read this. EW: So no more magic, huh? You know, I didn’t hear any real objection to that. But I don’t go trolling on websites for people that don’t like me. I’m very fragile, like an egg. We had talked about the idea of Buffy having a lesbian fling as one of the things that does actually reflect where she is in her life, if you consider the events in “Season 8″ to be her college experience. It’s that time in your life where that might happen. We just slammed right into it with a splash page, instead of tenuously inching towards it. And that was largely [writer] Drew Goddard’s call. He said, “You know what? It would obvious to start building toward this, and then seeing that play out, how that would be. I think in a lot of these situations, it just kind of happens, and then you deal with it.” It’s more interesting and it gives us a better opportunity to face the reality of a situation like that. Personally, I loved how the show ended, and while I like that the story has continued I am a little bummed at the massively massive changes. Lesbian Buffy is perfectly fine with me, but Giles dying is heartbreaking! Ah well, my love for Buffy will never die either way. What do you think of the changes in Buffyverse?